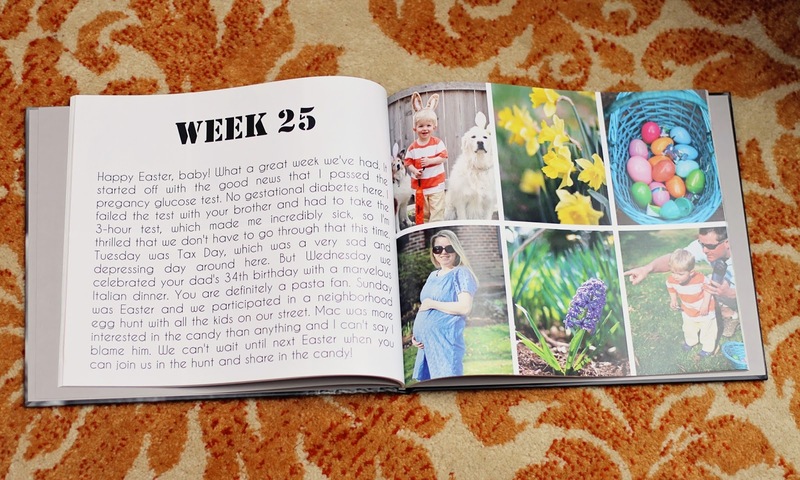 If you've been reading this blog for a while, you may remember the week-by-week photo book that I did while I was pregnant with Mac (HERE). 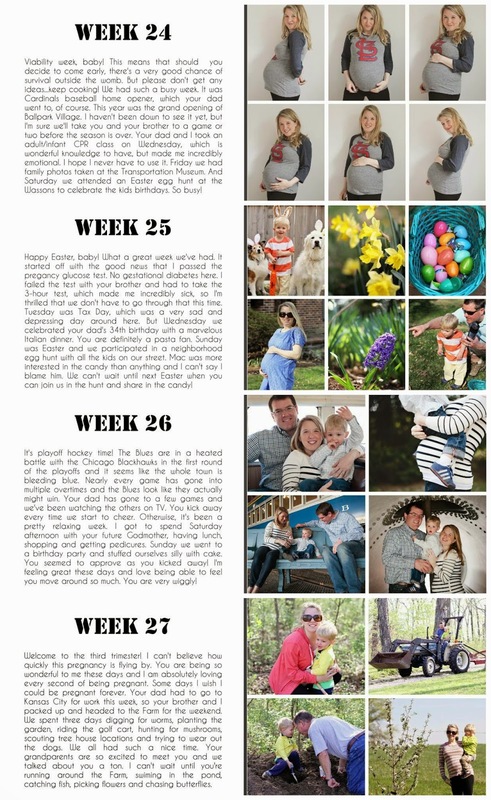 I absolutely love the way it turned out - it's so much fun to look back on that time in my life and read about what we were doing and how excited we were to meet our first baby. Being just as excited the second time around, I wanted to do the same thing for Mim. I kept a similar layout, but made it a bit different, with fewer colors and more photos. 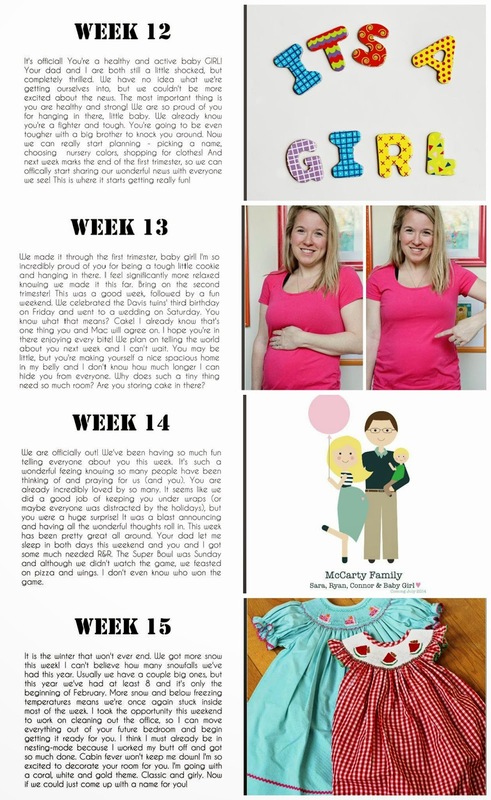 Since she is the second child, I tried really hard to make sure the descriptions were mainly about her and the pregnancy and not about what Mac was doing, but sometimes those were one in the same. 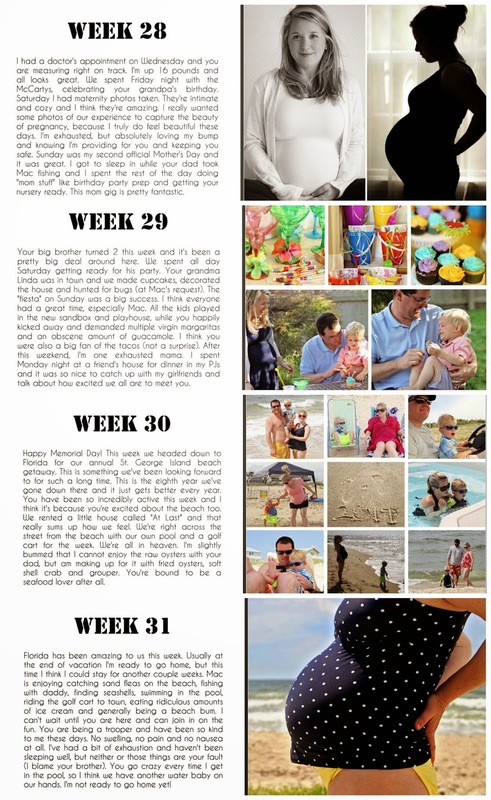 I tried to keep this updated as the pregnancy progressed (each week), because pregnancy brain makes it really hard to even remember what you had for dinner that day. If I didn't stay on top of it, I'd never remember what we did a month ago. If I didn't have time to update it, I made sure to write things down on the calendar, which I'll stick in the book and put in Mim's keepsake box. Anyone else make a pregnancy book? Such a great idea. I love the book and I'm sure she will love reading it with you! Such a cool book!! What a keepsake. I love this! I actually have been contemplating how to take what I wrote in my blog during pregnancy and turn it into a book for my little girl. Blurb is so much better priced then other options I've looked at. This turned out great!! 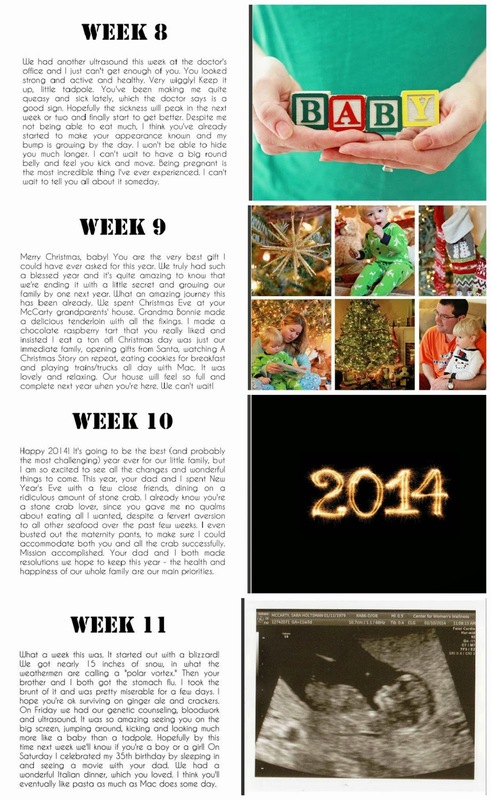 I made a pregnancy photobook using Shutterfly with my son. He loves to look through it though he doesn't quite understand that he was the reason my belly was so big! What a fantastic idea! 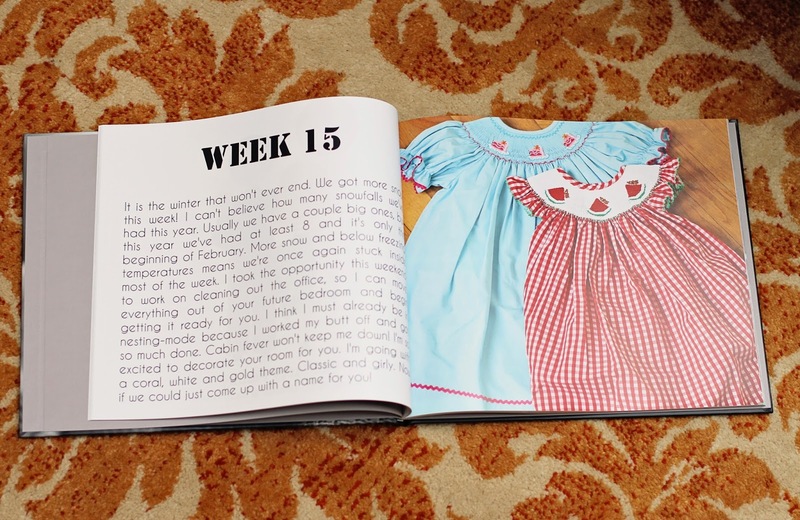 The book looks beautiful and is a wonderful keepsake. You think you will remember all these details but as time passes you'll forget all the little details and this will be perfect for you to show your children! All the pictures look beautiful! NO WAY. this is amazing. and you're amazing. i mean LOOK AT THIS!! so so so freaking cute!!! Wow, I love this! You are way better at documenting than I am. 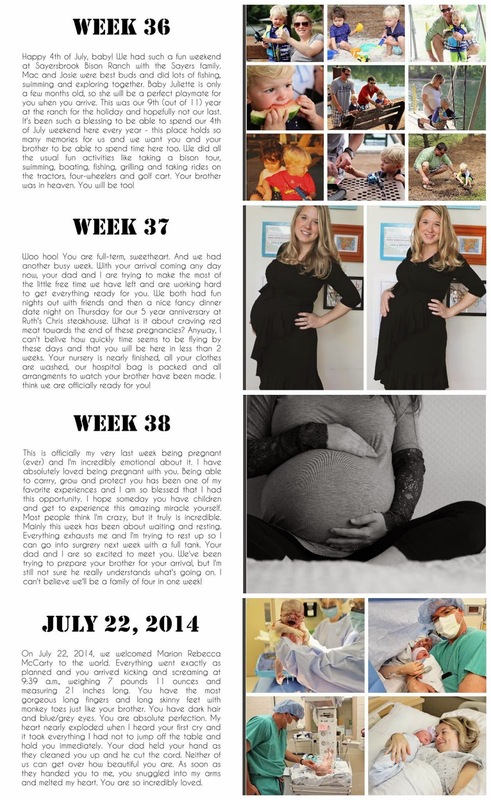 I took a few photos during my pregnancy, but never kept track of weekly changes. Especially doing that with a 2-year-old?! You're a rockstar! 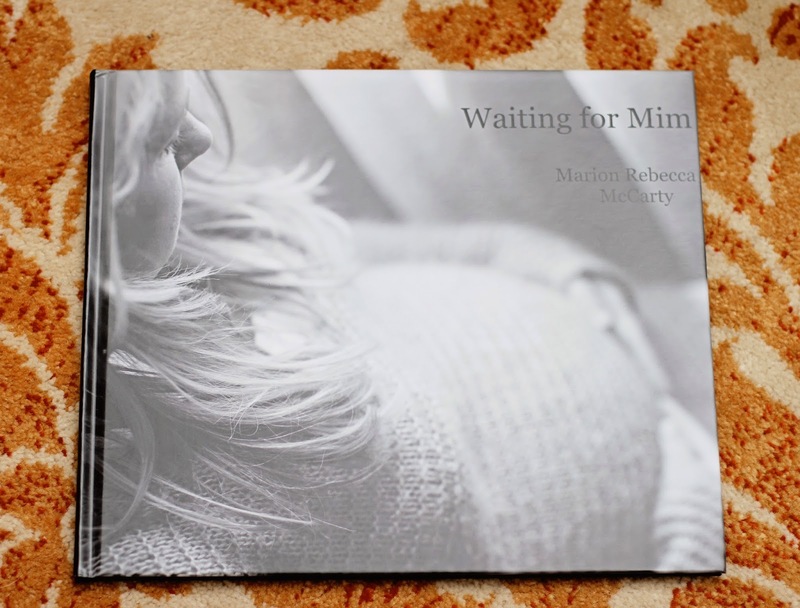 Love how the book turned out; Mim will love it when she's older! I love this idea so much!! She is going to LOVE this one day. Seriously, I just love this. LOVE it so much. The Silhouette picture is stunning. Yes! 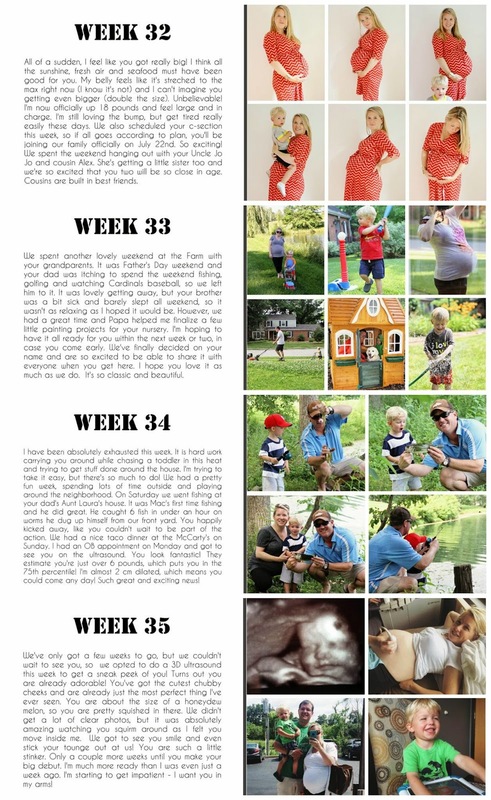 I did a pregnancy book for my son who is now 14 months and I love it!! I know I will love looking back at it when I'm pregnant for the second one!! I love the way you laid yours out and might have to steal that idea for the next one!! Absolutely love this. 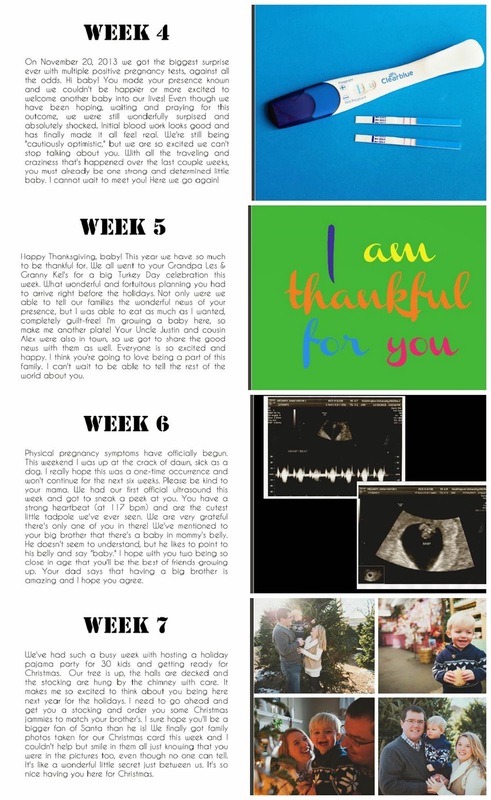 I made one for Avery's pregnancy and plan to do one for Luke as well. I can't believe I'll be able to start working on his in a few short weeks! Thank you for sharing this idea! After seeing the book you made for Mac I knew it was something I wanted to do for our baby. Great timing with this post. I am due tomorrow and seeing Mim's book makes me so happy that I took the time to do this! Gender will be a surprise so right now our book just says "Waiting for..."
This whole thing is amazing. Mim is such a lucky little girl. I still owe Lana a 2-year birthday card - I can't believe you put this together. You guys are all so freaking adorable and this is an amazing keepsake. Love! I made one when I was pregnant with Eloise and I'm so glad that I did. Every once in a while, she will pick it out of her books on her bookshelf and flip through it. 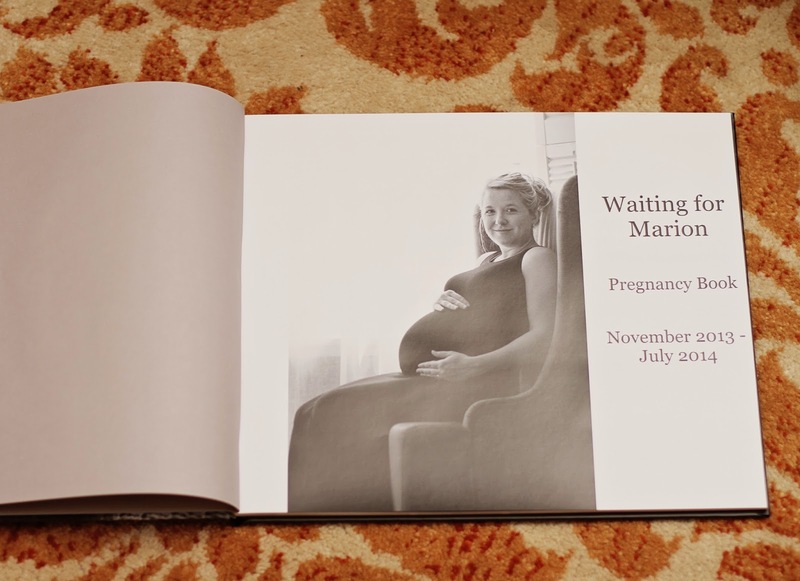 No, I did not make a pregnancy book, but now I wish I had!! That's such a cute idea! What a coincidence, I just finished making our family's 2013 yearbook with blurb! I'm glad you love it and the quality is awesome. I literally just finished the cover a few minutes ago. I haven't even ordered it but now I'm extra excited to get it ha =) It is soooo beautiful. 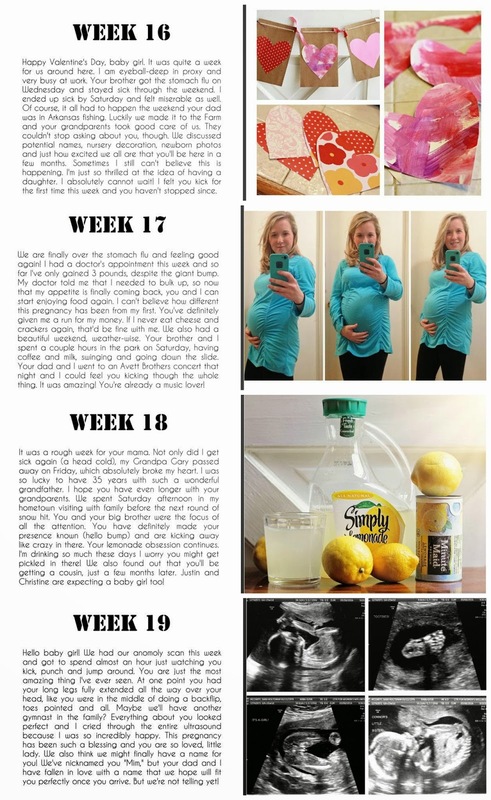 I wish I had documented my pregnancy better, I have journaling but hardly any pictures. I bet she will love this book one day. What a perfect keepsake. Sara! I love this! 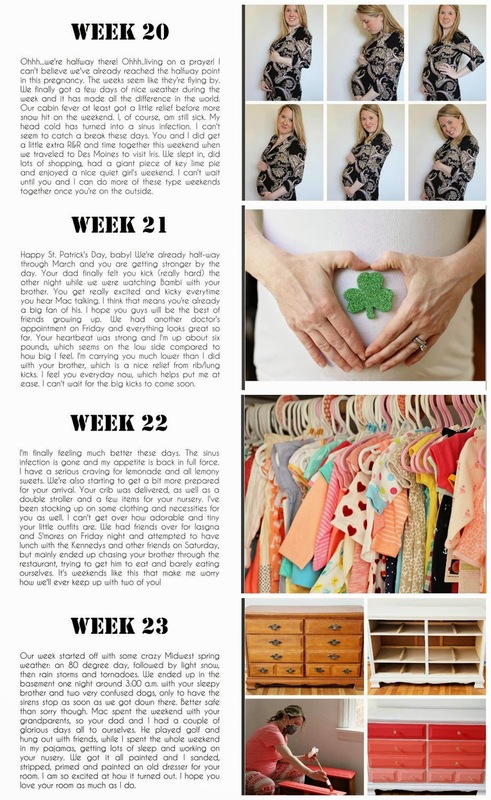 Such a beautiful way to remember your pregnancy and share it with Mim someday! I made an adorable one for Stanford, but never got it printed! I guess I'll get his book + the twins book done at the same time. Ha.Kudos to you for being so on top of things! Awww, Sara! This is adorable. I know Mim will love to read this one day. You are such a thoughtful mommy. 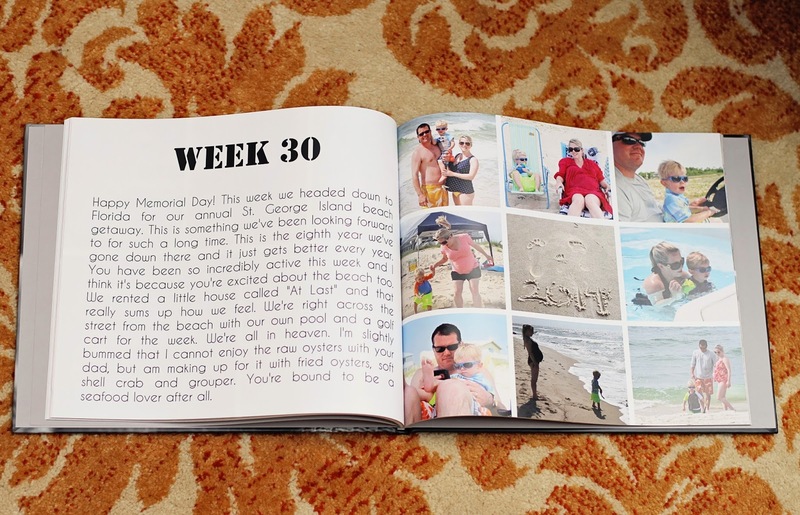 What an amazing family keepsake!! Oh my gosh! I LOVE THIS. I didn't make one but so wish I did! Well, I did kinda make one, but nothing like this. No details or anything, just my weekly photos. As annoying as the weekly photos were sometimes (or more remembering to take them! ), I so cherish them now. This is going to be something that you cherish for years to come. Beautiful! Love this! I should totally do that since I took all those pictures! Ps, our little girl was born almost exactly 1 month before! Wow! How beautiful!! Do you sleep lady?! I am so impressed with the detail! I keep a journal but I'm terrible at keeping up with it. I just adore that you did this! What a special special gift to Mim.